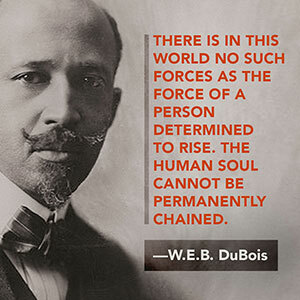 Du Bois was a co-founder of the Niagara Movement, which addressed inequality, and the NAACP, which is still active today. This “mini biography” from Biography.com elucidates several of the remarkable accomplishments from DuBois’ life. SCRIBBLERS THREE: How does being in a writer’s group expand and sustain your work? 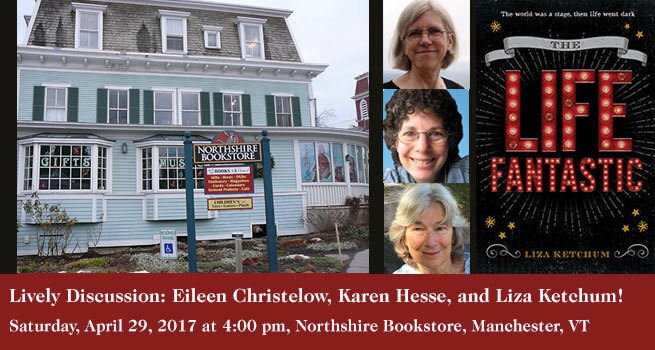 Eileen Christelow, Karen Hesse, and Liza Ketchum, authors for young readers, have been in a critique group for more than thirty years. They will discuss how their writing changed and developed as the group evolved, and will share their most recent books: Robins! How They Grow Up! (Christelow), My Thumb (Hesse); and The Life Fantastic (Ketchum). Join the discussion on April 29, 2017, 4:00 pm at the. Northshire Bookstore, Manchester, Vermont. While anti-Semitism was common during vaudeville’s heyday, many Jewish performers had starring roles in theater as well as in film and television in later years. Yiddish theater had an enormous influence on the cultural life of Jews throughout America and abroad. 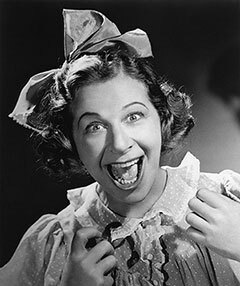 In this film clip, Molly Picon, the most famous actress in Yiddish theater, is seen singing “Abi Gezunt (As long as you’re healthy),” from the 1938 film, “Mamele.” Molly Picon, born Margaret Pyekoon in 1898, “performed with Michael Thomashefsky’s Yiddish repertory troupe at the Arch Street Theater (including, at age fifteen, Uncle Tom’s Cabin, with alternate performances in Yiddish and English) and in cabaret from 1912 to 1915.” [Jewish Women’s Archive] Like Teresa in The Life Fantastic, Picon started to perform at an early age. She gave her first performance on a stage at age five! Here are several sites which give a sense of the importance of Yiddish theater to Jews throughout the world and specifically in America. On the occasion of the 100th birthday of the National Yiddish Theater, Folksbiene, this video talks about the history of the theater. Note how Yiddish theater influenced composers on the broader stage, including George Gershwin and the Sherman brothers, composers of Mary Poppins. Michael Tilson Thomas, the conductor, created this homage to his grandparents, early and influential actors in the Yiddish theater, The Thomashefskys. 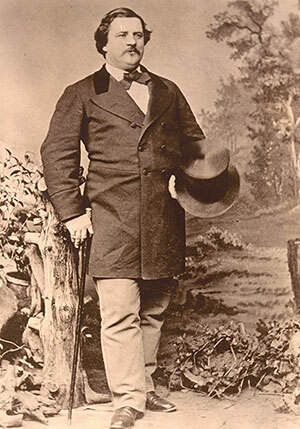 Celebrities appeared on the vaudeville stage, even those who weren’t considered performers. It was a place for the community to hear famous speakers and noteworthy people of their day. 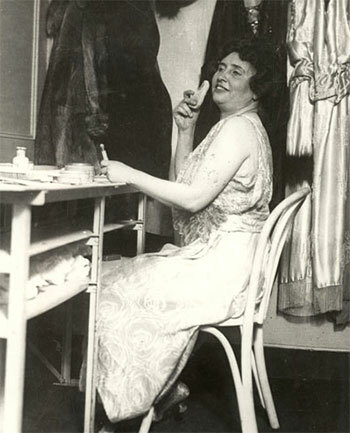 Here’s Helen (Keller) in her dressing room in a vaudeville theatre. She is sitting at a makeup table (which does not have a mirror), brushing her cheek with a giant powder puff. Behind her, hanging on the wall, are many elaborate outfits, including a silk robe, a dark evening dress, and a full-length fur coat. Helen has on a sleeveless, patterned dress that goes down to her toes and shiny high-heeled shoes. View more photos of Helen Keller, and Anne Sullivan, at the Helen Keller Kids Museum Online on the American Federation for the Blind website. What propelled you to write a story based in show business? Vaudeville has fascinated me since I was little girl. That’s when my father told me the romantic story about my great-grandparents, who eloped and ran away to join a traveling theater troupe. My great-grandmother was a singer and pianist, and her husband played the fiddle. The couple’s elopement—and their divorce later on—caused a scandal in the small town of Shreve, Ohio, where my great-grandmother grew up. Because some people considered vaudeville as “one step up from burlesque,” my grandmother was ashamed of her history. She refused to answer my questions about her parents and their stage careers. I have always loved live theater, and once considered becoming an actor. In high school I acted in plays and I spent the summer before college studying acting at The Neighborhood Playhouse in New York City. Though I didn’t pursue a stage career, that summer taught me invaluable lessons about creating characters. 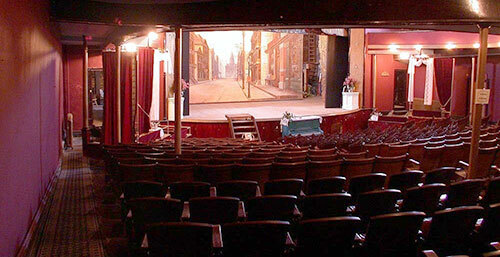 Interior of the Tabor Opera House today. For more about this theater, visit taboroperahouse.net. Many years later, I visited the Tabor Opera House in Leadville, Colorado, a restored and spectacular vaudeville theater. As I walked down the silent aisle between rows of plush seats, I thought about my great-grandparents and their story, which had never been told. Though the characters in The Life Fantastic are invented, and though it takes place in a different time and place, my great-grandparents’ adventure in the theater inspired me to write the novel. 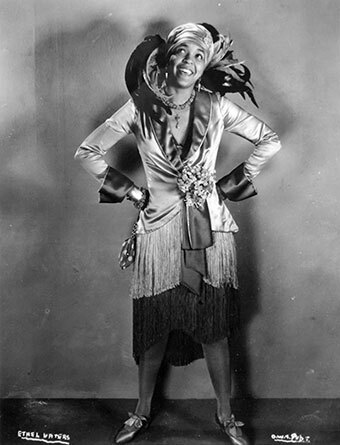 In The Life Fantastic, Maeve warns Teresa to be careful in her friendship with Pietro, an African American vaudeville performer. She tells Teresa that black men and boys in the South “get lynched if they look at a white girl.” Maeve also shares the story about a civil disturbance in Springfield, Illinois in 1908, where a white woman lied about being raped by an African American. Two black men were arrested, and when they escaped lynching, white residents rioted, causing massive destruction in the black community. The woman’s lie wasn’t discovered until after the riot ended and a number of people were killed. After that, Maeve’s father took part in Ku Klux Klan meetings. Many people think that the KKK was only active in southern states, but in the novel, Teresa remembers her father talking about the Klan having meetings in Vermont. Do you know the history of the KKK? Are you aware of their continuing presence in America today? Superman versus the Ku Klux Klan: the True Story of How the Iconic Superhero Battled the Men of Hate, written by Rick Bowers, National Geographic Society, 2012. They Called Themselves the K.K.K. : The Birth of an American Terrorist Group, written by Susan Campbell Bartoletti, Houghton Mifflin Harcourt, 2014. When Thunder Comes: Poems for Civil Rights Leaders, written by J. Patrick Lewis, illustrated by Jim Burke, R. Gregory Christie, Tonya Engle, John Parra, and Meilo So, Chronicle Books, 2012. Witness, written by Karen Hesse. Scholastic, 2001. Wreath for Emmett Till, written by Marilyn Nelson, illustrated by Philippe Lardy, Houghton Mifflin Harcourt, 2004.